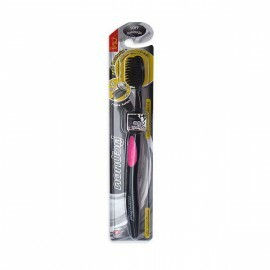 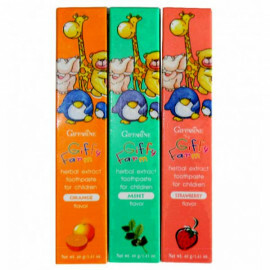 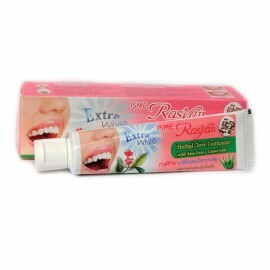 Gentle clean teeth, help to eliminate bacteria, and stains from food, coffee, tea, & cigarette. 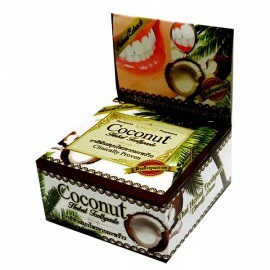 Protects and produce healthy gums and teeth from 100% Coconut Oil virgin ingredients. 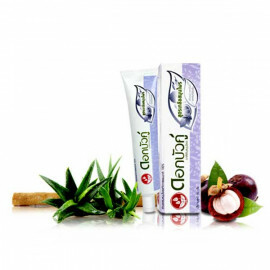 Natural Toothpaste made of 100% cold-pressed virgin coconut oil that helps clean teeth and maintain oral health care. 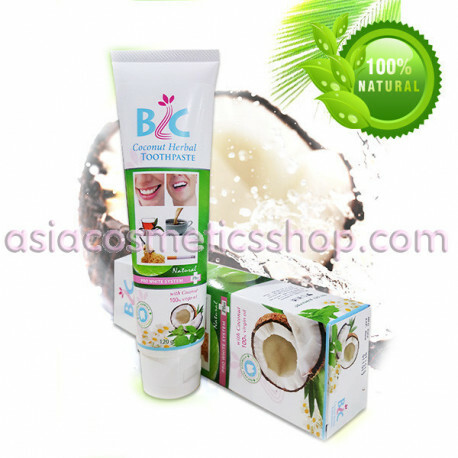 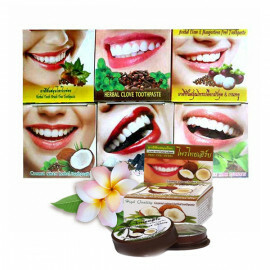 Effectively doing “Oil Pulling” enriched with natural herbs. 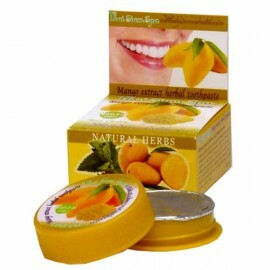 Helps clean teeth, eliminates bacteria, stains from food, coffee, tea, cigarette, etc, protects healthy gums and teeth. 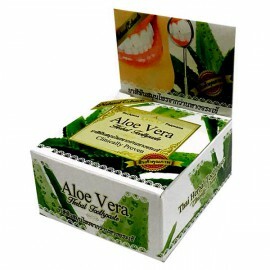 Get the best oral healthy result. 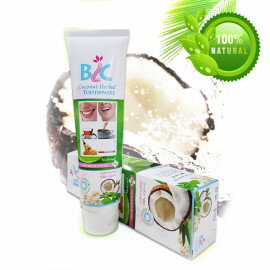 - Coconut oil (Lauric Acid) is a fatty acid that obstructs bacteria and retains moisture. 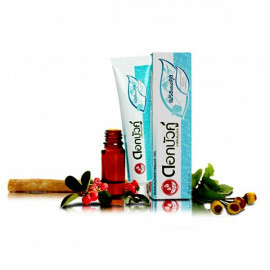 - Chamomile Flower Extract (Chamomile Extract) efficiently reduces pain and prevents inflammation of the gum. 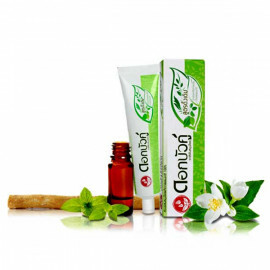 - Sage (Sage Oil) reduces the accumulation of bacteria that causes bad breath and teeth pain. 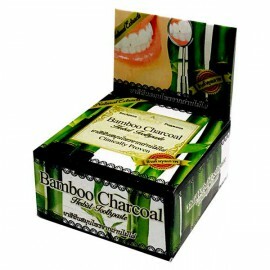 - Eucalyptus (Eucalyptus oil) helps freshened breath. 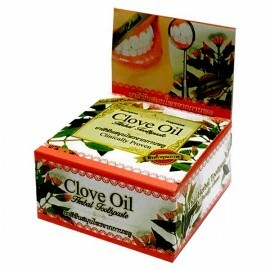 - Clove oil (Eugenia Caryophyllus (Clove bud oil) reduces pain and inflammation of the gum. 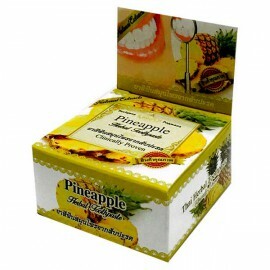 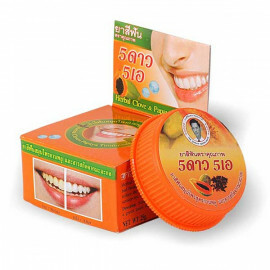 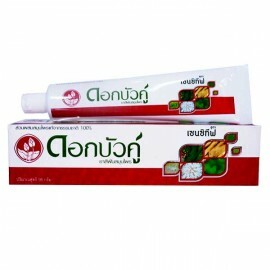 - Herbal root (Krameria Triandra Root Extract) helps heal sores in the mouth. 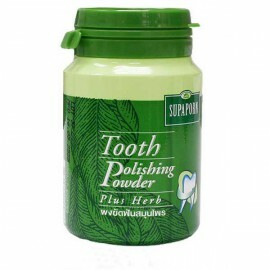 - Xylitol (Natural sweetener prevents tartar and plaque on the teeth. 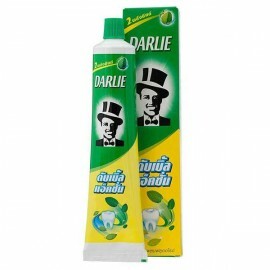 Instruction: First, brush your teeth with water, then fill half the toothbrush with toothpaste. 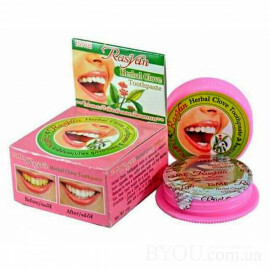 Brush your teeth at least two minutes every day - morning and evening, or every after a meal to obtain a maximum result of healthy gums and teeth. 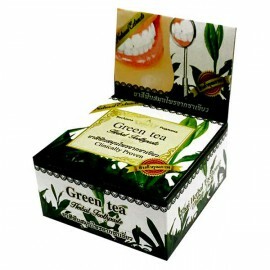 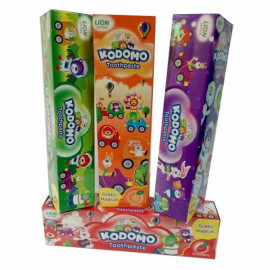 Size: 50 g; 120 g.